Explosive Calisthenics is for those who want to be winners and survivors in the game of life—for those who want to be the Complete Package: powerful, explosive, strong, agile, quick and resilient. Traditional martial arts have always understood this necessity of training the complete package—with explosive power at an absolute premium. And resilience is revered: the joints, tendons, muscles, organs and nervous system are ALL conditioned for maximum challenge. The foundation and fundamentals center, first, around the building of power and speed. But Explosive Calisthenics does a masterful job of elucidating the skill-practices needed to safely prepare for and master the more ambitious moves. But Explosive Calisthenics doesn’t just inspire you with the dream of being the Complete Package. It gives you the complete blueprint, every detail and every progression you could possibly want and need to nail your dream and make it a reality. You, the Complete Package—it’s all laid out for you, step by step. “The first physical attribute we lose as we age is our ability to generate power. Close behind is the loss of skilled, coordinated movement. The fix is never to lose these abilities in the first place! Paul Wade’s Explosive Calisthenics is the best program for developing power and skilled movement I have seen. Just as with his previous two books, the progressions are masterful with no fancy equipment needed. 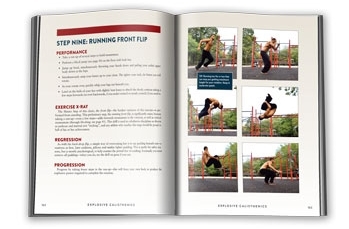 How sure are we that Explosive Calisthenics (eBook) will work for you? 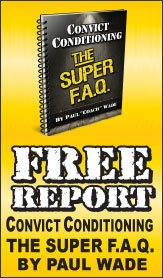 Simply fill out the form below and put Explosive Calisthenics (eBook) to work for you right now. Obviously, we would go out of business if Explosive Calisthenics (eBook) didn't work, the way we said, right? With the promise of a full refund if you're unsatisfied, you have nothing to lose by trying Explosive Calisthenics (eBook). Go ahead and try it today. With Explosive Calisthenics, Paul Wade challenges you to separate yourself from the herd of also-ran followers—to become a leader, survivor and winner in the physical game of life. But he doesn’t just challenge and inspire you. He gives you the direct means, the secrets, the science, the wisdom, the blueprints, the proven methods and the progressions—that make success inevitable, when you supply your end in consistent, diligent, skillful application. 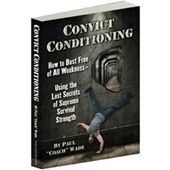 Now a legendary international bestseller, Convict Conditioning can lay claim to be the Great Instigator when it comes to the resurgence of interest in bodyweight exercise mastery. And—while Convict Conditioning 2 cemented Wade’s position as the preeminent authority on bodyweight exercise—there is no doubt that his magisterial new accomplishment, Explosive Calisthenics is going to blow the doors off, all over again. What makes Explosive Calisthenics so exciting—and so profound in its implications? Mastery of progressive calisthenics is like building an arsenal-full of weapons for your physical transformation. The Power Jump and Power Pushup will set up your foundation by supercharging your nervous system, ramping up your reflexes and amping your speed and power. Expect to be remarkably and resiliently strengthened in your bones, joints, tissues and muscles—over the entire body. 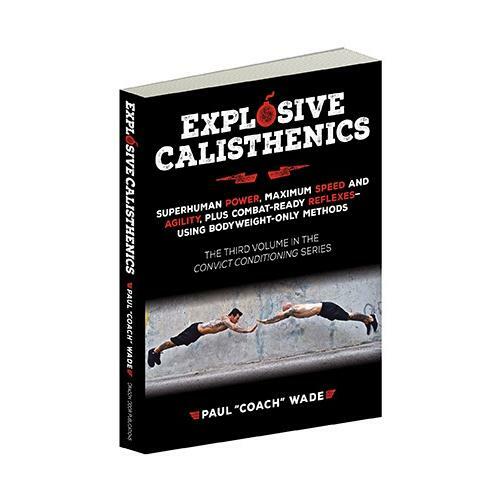 "Explosive Calisthenics by Paul ‘Coach’ Wade is a masterfully constructed roadmap for the attainment of power, functional speed, and agility. The book is extreme in that only a small percentage of the population would be able or willing to fully take the challenge, but at the same time, brilliant in that the path proceeds methodically and progressively from relatively simple to extremely advanced, allowing a discretionary endpoint for each individual. The book is also refreshingly raw. The exercises are all done using only bodyweight and little in the way of equipment. There are only five moves to master and yet each is a proverbial double-edge sword—at the same time dangerous yet potentially transformative. Take this on and I doubt you will ever again be satisfied with the mundane bench press or the other exercise machines found in the typical gym. "—Patrick Roth, M.D., author of The End of Back Pain: Access Your Hidden Core to Heal Your Body, Chairman of Neurosurgery at Hackensack University Medical Center and the director of its neurosurgical residency training program. A nearly magical preliminary exercise to get better at clap pushups. How the clap pushup builds exceptional levels of torso power and quick hands, whilst toughening the arms and shoulders—invaluable for boxers, martial artists and football players. A killer bridging exercise between clapping in front of the body and clapping behind. Builds high levels of pure shoulder speed—excellent for all martial artists. A wicked, wicked move that works the whole body—both anterior and posterior chains. Fast feet and hands go together like biscuits and gravy—here’s how to make it happen. "Coach Wade saved the best for last! Explosive Calisthenics is the book all diehard Convict Conditioning fans have been waiting for. There has never been anything like it until now! How to generate forward momentum. Strengthens and conditions the wrists and shoulders for the task of explosively pushing the body up. Learn how to generate enough lower body power to throw the head, shoulders and upper back off the floor. "Once again, Paul ‘Coach’ Wade, inspires with a life-changing approach to fitness that relies only on the weight of one's body. 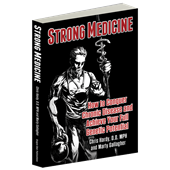 In his comprehensive new book, Explosive Calisthenics, he presents how calisthenics can and should be taken to the next level. 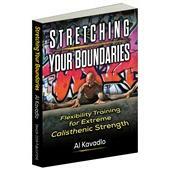 Starting as he always does, with history of the early practitioners of bodyweight training, Explosive Calisthenics explains the widely misunderstood difference between 'strength' and 'power' as perhaps the key theme. This crucial distinction is what defines truly functional exercise as a life-long endeavor that has been a fountain of youth since ancient times. To that, Wade ties his dynamic calisthenics to popular disciplines including my own, martial arts—drawing on exercises specific to the combative arts, but applicable to any physical activity. Wade also includes basic jumps, rolls, and somersaults as key parts of the regimen. Correctly, Wade prefers not to define these as ‘gymnastics’ but as whole-body explosive power and speed training. While this may not be for everyone at first, I would encourage the calisthenics-advanced non-gymnast, to give these ‘explosive’ movements a try. Of particular note to me as a long-time proponent of time-tested, more functional fitness training, I very much appreciated Wade's discussion of developing the senses as a fundamental part of Explosive Calisthenics. As a professional, more traditional martial artist and Chen Taijiquan practitioner, development of the senses through exercises that utilize whole-body movement and stringent eye-hand-foot coordination practices, Wade's presentation of total senses development as part of advanced calisthenics training is fantastic to see. The Front Flip is THE explosive exercise par excellence—it is the "super-drill" for any athlete wanting more speed, agility and power. "Your body is the ultimate ‘training tool’. Paul Wade shows you how to transform your own body and turn it into a weapon! I've taken these methods and applied them to the training of my athletes as well as my own training and the bottom line is that they work. The workouts and exercises deliver. They are powerful and results driven. The Back Flip is the most archetypal acrobatic feat—displaying integrated mastery of some of the most fundamental traits required for total explosive strength. 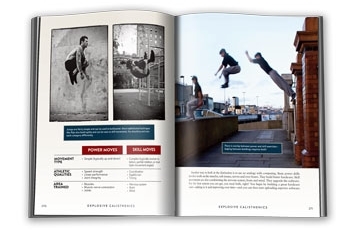 "Explosive Calisthenics continues the epic saga of the Convict Conditioning opus, which has become a staple for any bodyweight training library. If you've applied all the incredible techniques taught in the first two books, you'll be able to maximize your training with even more impressive moves. Coach Wade offers up a blueprint for pushing your workouts to a whole new level. Lots of books say they are taking things to a whole new level—this one really does. The Muscle-Up requires a very explosive pull, plus a push—so works almost the entire upper-body; the back and biceps pull, while the chest, triceps and shoulders push. Your grip needs to be insanely strong, your stomach crafted out of steel and you require a highly athletic posterior chain. The time-tested formula for determining the optimal rep range for your sets. 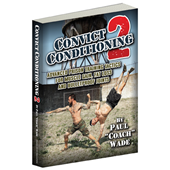 "Paul Wade’s series Convict Conditioning continues with the newest addition, Explosive Calisthenics. I applaud the loss of the convict/prison shtick and we get to explore what Wade does best: he progresses a movement from the basic and simple to, in this case, it’s most complex (and awesome). The chapter on programming, the sets and reps of things, has a series of rules that you will instantly claim as your own. It looks like the team of Dragon Door, Coach Paul Wade and John Du Cane have done it again! Take your bodyweight training to a new level with these EXPLOSIVE movements! I've been doing many of the exercises, some at the highest levels, for many years. However, the way the movements are broken down into stages of progressions is nothing short of fantastic. Back in the day, we would see a move and attempt to emulate it. This was often met with failure and sometimes injury. You no longer need to subject yourself to these pitfalls. CC3 gives you the steps to achieve new levels of explosive fitness! The Explosive movements will also yield more muscle mass than standard bodyweight training. Explosiveness is also necessary for developing striking and throwing power used in combat. This type of training is a prerequisite for fighters, martial artists or self defense experts. This book, like its predecessors CC1 & CC2 will be used as reference guides not only for my training, but for the training of my clients as well. The progressions are easy to understand and are set with logical steps leading the reader to the highest levels. Even if you have no desire to perform back flips, the training leading you toward them will result in increasing your strength and flexibility. If people adhere to the training regiments advocated in these books, the days of the machine laden, strength and fitness limiting gyms are numbered! Rated 10/10 CC1 + CC2 + Explosive Calisthenics = PERFECTION!!! 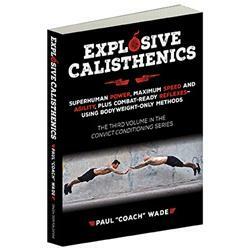 Coach Wade has brought us CC1 and CC2 which needed the newest edition "Explosive Calisthenics" in order to sum up the perfect completion to his book series! I have so many people looking at me while I do my body-weight exercises saying, "Dude, that's not going to help you build muscle. You need more intensity! You need weights! You need to make it more challenging, more explosive, more powerful, etc. blah, blah!" Well, when you read this book you can see why you really don't need weights to build intensity and that's even if you can get to this point of body-weight exercising. The power you build, the feeling you get when you achieve your first muscle up, the body-weight plyometrics, the way you will look! Trust me on this after following Coach Wade's methods here it will make everything worth while and it will pay off! This is the book of the year and Al and Danny Kavadlo were the best choice of models for this. Thanks to all these guys for confirming why I truly believe in calisthenics and why I have no need to work out on a machine and why I don't need dumbbells anymore! Rated 10/10 This book changes the game! Words can't express how great of a read this was for me and what it'll do for my training in the future. Coach Paul Wade made this book very easy to absorb mentally providing wonderful detail, not only in his writing but with images as well to help with the process of becoming an explosive athlete. Being certified through NASM as a MMA Conditioning Specialist, NESTA as a Muay Fintess Specialist, Onnit Lvl 1 soon to be KB Lvl 2 coach this book has inspired me to take on the PCC certification to learn more about calisthenics and to challenge myself to do better. If you have CC1 and 2 then its a must to add this to your library. Being coaches in the world of fitness I will say that this book got me excited to elevate my training to another level but for you as the future reader of this book, when you purchase this and say to yourself that its missing something then add it to your training. We will always continue to be students in the fitness world and this CC3 edition just proved that the human body is capable of doing so much more than we thought to believe. Have fun with it and watch yourself fly! Having been an end user of the first two volumes for some time now, I was incredibly excited to hear about the upcoming release of this volume. When the article appeared in the PCC blog back in December the exhilaration I experienced was quite palpable, and ever since then I have been scrutinizing every Dragon Door product update email that finds its way to my inbox. So, when I came to understand earlier today that the thing had finally dropped, I was very, very anxious to leave work and get home. After firing up my Mac, I went straight to the product page here on Dragon Door and ordered a physical and a digital copy. I have spent the last couple of hours going through the contents and looking at the pics, and all I can say is- IT WAS WELL WORTH THE WAIT. As always, the pictures and layout are stunning, the editing is great, and the sum total of it just makes you want to get up off your backside and train. 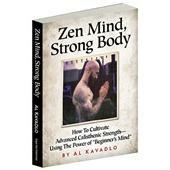 If you are at all experienced with this system of bodyweight training, you need this book. Like me, you might not be quite ready to start tackling the progressions, but the shot of inspiration and increased determination you will receive from absorbing this information will be well worth the price. Look at Danny Kavadlo busting a full on superman, or in mid flight over the broomstick at the apex of the suicide jump with that really intense look in his face. Danny, Al, Grace, and Adrienne are all there, along with a guy I don't know with a very developed physique busting out backflips. Anyway, the long and short of it is that this book is a must have if you are part of the CC tribe. With this volume, the training system that Coach started laying down in Volume 1 becomes a little more complete. Explosive training work is the logical next step for everyone as they move progressively forward in their march through the big six, and again, the sheer amount of impetus one will receive from looking at what is possible down the road should make anyone want to pick up a copy of this book. According to what Coach wrote in CC II, the whole system is complete in four parts, so now that CC III has dropped, I want to step up and say that we all definitely want to see the thing in its entirety. Please Coach, bestow on us CC IV. While you're busy putting it together, we will be busy pushing ourselves to master the big six, along with the neck, grip, calf and flag techniques, and then adding in the explosive stuff from the new volume. We are hungry for all that you have to offer us. Thanks for bestowing all of your hard-earned experience on us. We will repay you in sweat and hard work. My hat's off to you, El Entrenador. Cheers. Another "Big Six" moves with excellent progressions from "anyone can do that" to "can anyone DO that?!? ", in Coach's usual clear style. A bunch of useful extra stuff at the end, too. If you've read the other CC books, you'll know what to expect. I've been following the CC progressions for about a year and a half now. When I began I was starting from square one due to a long period of forced inactivity due to a broken shoulder and severe whiplash. Courtesy of the Big Six and CC2's trifecta, I'm stronger and more flexible than I ever have been in my life, and have no reason to think I won't continue getting more so as I carry on with the progressions. I don't doubt that the explosive Big Six detailed in here will prove every bit as effective as the strength Big Six in CC. I'm certainly looking forward to mixing them in. The only reason I can't give it 10/10 is the occasional serious proofreading failures: The catch tuck jump's first bullet point is "This bullet-point description is wrong"; Super-speed tactic #2 has the line "Most people are too used to instinctively 6 than 6 making rapid predictions"; etc. These really detract from the quality of an otherwise excellent book. I hope they can get these fixed before too many copies make it out. Detailed, concise and easy to follow. Although they were a hard act to follow, this book is even better than its predecessors in the Convict Conditioning series. Even though I decided that I needed to cut back on the exercises described in this book and spend more time developing the basics from CC1, the progressions are easy to understand. I look forward to revisiting this book once I have worked up to it again - if anything, it's given me even more motivation to work on the basics. This is a great addition to the series and really puts all the foundation that CC1+2 built to good use. Gaining strength is great, but actually putting it to use in these techniques is amazing. Highly recommend. I gave it a 9 as 10 is elusive and I'd like to think always to be worked on. First off, I'm not famous. I am in my 40s and generally out of shape but working to turn that around. So why did I buy these CC books? Simple. Each book can be done and take time. No promises were made of instant results or that it would be easy. The pictures and statements are straight and to the point. Get working. Get working hard. And keep working hard. For the rest of your life. Seems real to me. The breakdown of each exercise is simple and logical and most people can start on step one of almost any exercise and if they can't then they can work up to step one. I'm cool with that in any task. The images are quite inspirational but there is a bit of history sprinkled around. Lastly, I can go do these things in a park and my city, Ottawa (Canada) has two calisthenics parks and the closest one to has kids parks and soccer fields. So my daughter can be there and see me doing stuff. So she won't just have a dad who does exercise but she will see him and maybe join in; no chance of that at a big box gym. And calisthenics was the gym class standard when I went to school in the 70s so any kids can join in. What could be better? Cities make these parks and these books show you what you can do in them. Love it. Sorry, it went from a book review to a lifestyle review which is probably how it should be. Good books aren't just books. I think it's the best Explosive Calisthenics book I've ever read. 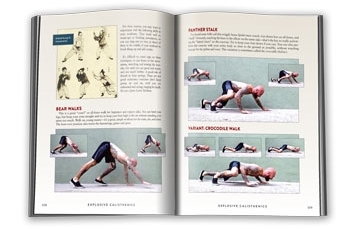 With a great content about to train your power with bodyweight exercises progressions. Them explain very well in a easy form any kind of exercise. You should read it!!! As with all Paul Wades books this is a great resource. But only providing a pdf doesn't cut it - I would prefer to have an epub so I can keep it on my reader with my growing library of Pavel, Dan John, Paul Wade, Gray Cook, etc.